Brown cardboard with ivory crepe interior. Designed for cremation. 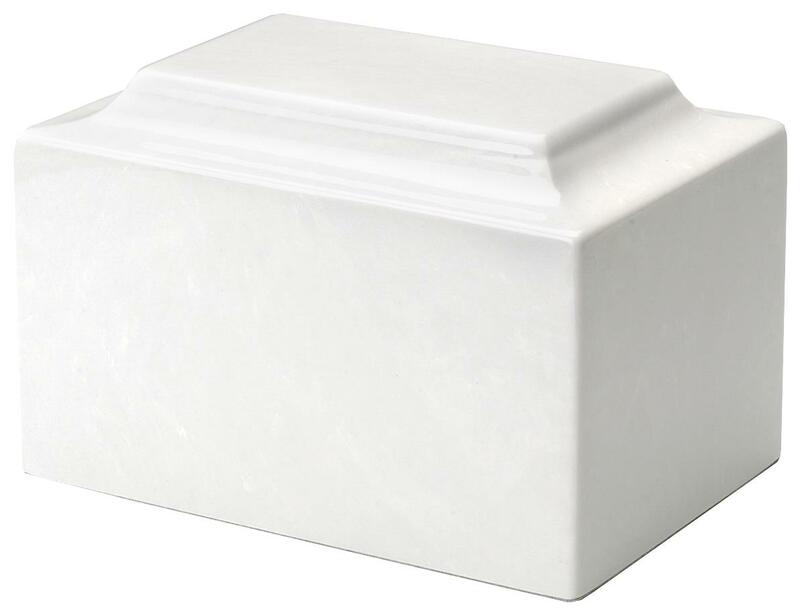 This imported urn exudes warmth, elegance and tradition. Meticulously created by a craftsmen, the stained wood finish is accentuated by a protective lacquer finish. Handmade from unbleached pressed cotton and cast from original artwork. Designed for scattering in water. Holds portion of cremated remains. Crafted in solid maple with a hand-rubbed honey color finish. Sliding top with finger groove for easy opening and designed for scattering.